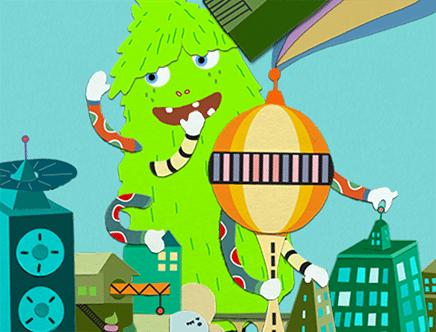 Head to the city and meet four different monsters who all have music on the brain. 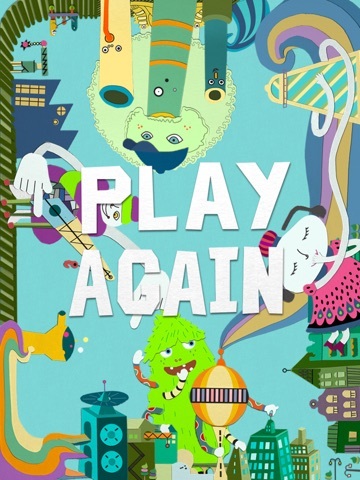 Through each round, kids get to interact with the monsters as they play different musical instruments inspired the buildings, towers, and other sights found around the city. For example, smoke stacks make pan flutes and train tracks make a xylophone. Kids can play music solo, using multiple fingers to control the different instruments, or they can play with friends, adding more fingers to the mix to come up with a truly creative song. When the first song ends, kids can start in on a new song, with the same monsters, but fun new instruments to play. At first PanPaTan may seem a bit overwhelming to parents. 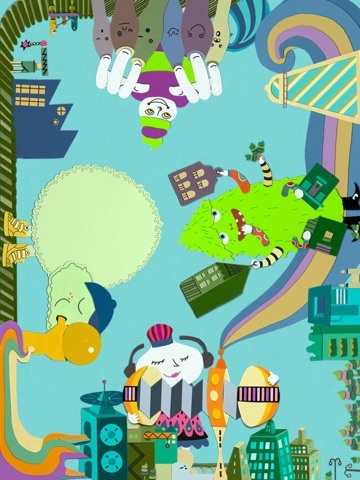 On the screen, four different colorful monsters appear and a bunch of different sounds start to play. Kids, however, will quickly figure out how to jump right in and tap around to see how they can interact with the different instruments. While there’s no way to record the songs kids play or choose which instruments appear on the screen, kids will still have a lot of fun interacting with the various elements. Kids will get to express themselves creatively and have a lot of fun as they get the various instruments to make different sounds. They’ll learn that music can come from all different types of objects, not just traditional musical instruments, and that it can also be rather funky. Some kids will want to interact with the instruments a lot, while others will find it more fun to set up a tune and start dancing along. 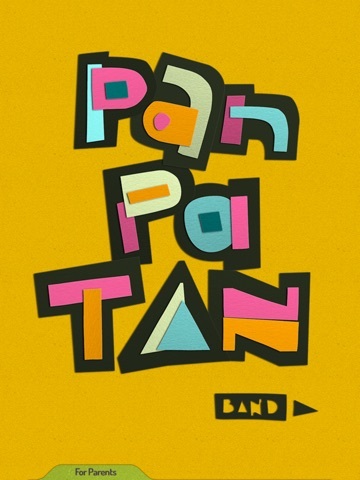 Parents who purchase PanPaTan get a very unique app that allows kids to experiment with 16 different musical instruments as they play along to the beat of each song. 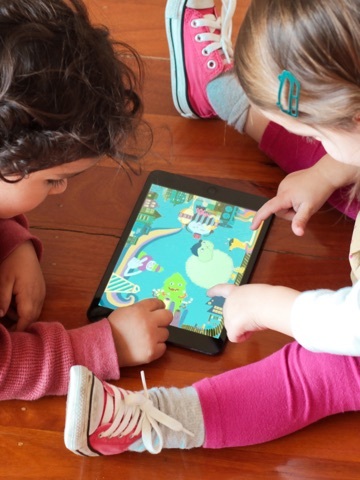 Toddlers and some preschoolers will find a lot of entertainment and value in this app, while older kids may only enjoy playing with it once or twice. 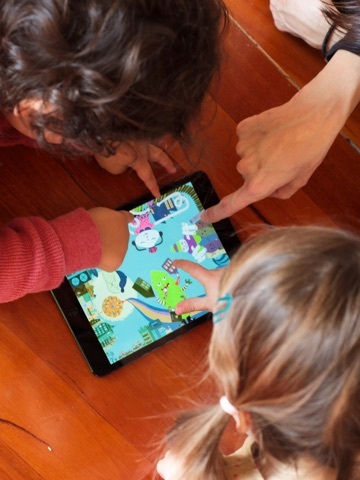 Kids truly get to take control as they interact with this app. While each song starts with a basic tune, there are no other rules for kids to follow. Instead, they can just tap around and play the different instruments. They can use one finger or all 10 fingers. This makes it particularly ideal for younger children who just like to tap around the screen without a lot of purpose anyway. Although, the more they interact with the app, the more they’ll start to realize that tapping in specific places produces different sounds, giving more purpose to their musical play.